wow that's a beautiful garden of red roses. So pretty. And you enhanced them nicely, too. i envy you for having such lovely flowers in your garden. my mother would be ecstatic if she has those. pretty captures! my RT is up too. I'm sure they were beautiful without any tweaking but I do love that last shot! that's a pretty flower made even prettier! 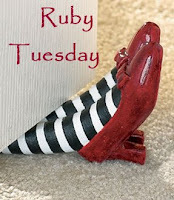 come and visit my RubyTuesday if you have the time! 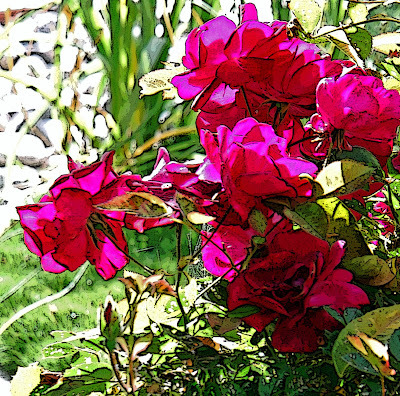 Beautiful enhancement of those gorgeous red flowers! Very impressive! they are RED & gorgeous! 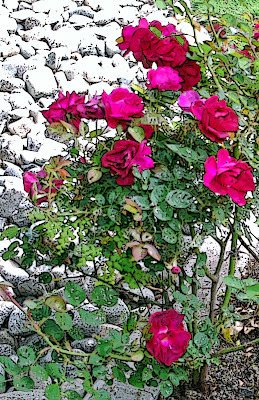 You always have the most stunning roses. I bet your garden smells wonderful, too. Very nice shots, Lovely flowers. 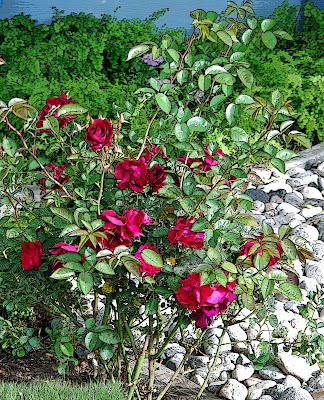 Beautiful color in those roses. The contrast with the rocks is great. I love the effect on the last one! Beautiful roses! Beautiful deep reds! My roses are mostly gone for the year, but you still have so many! These are great...Poster edges for the filter? It works well for these shots. Have a great RT. T-13 ... Celebrating my SECOND Blogoversary!